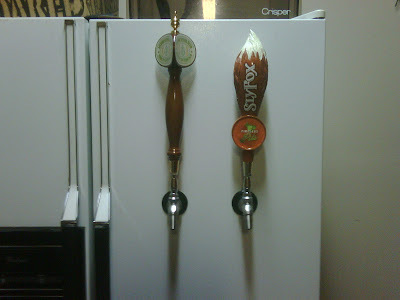 The NonconFERMist: Helping a friend convert a kegerator! Helping a friend convert a kegerator! this is beautiful. how do I do this for my husband? Shoot me an email. I can point you in the right direction. Most of the hardware can be purchased online if you don't have someone to supply you locally. Some variables are. Thickness of the refrigerator door and ability to move the shelves so you can fit a keg.